FindItMore | In the Present era of technology, there are number of organizations that keep their complete data as a backup. If we talk about the email data, then there are large number of organizations who are using MS Outlook as their email client and save their individual Outlook email messages in the MSG file format. Now, the main problem arises when an Outlook user does not know the solution to the question “how to open an MSG file for free?”. In this blog, we have come up with the two solutions to read MSG extension. To guide and assist the users, we will describe’ both the methods to read data from MSG file. Here, we will talk about the Manual as well as an easy and trusted approach to view Outlook MSG files. Now, users are advised to go through the below-discussed blog in order to perform this migration approach of reading MSG files in an effective and efficient manner. Outlook MSG files are not the text files that can be opened easily. It basically required MAPI type of application to access .msg files. So, in the following write-up, we have come with all the solutions that a user can use to solve these types of issues. How to Open an MSG File for Free Manually? In the present day scenario, each and every user has number of browsers installed on their system either it can be Google Chrome, Internet Explorer or Opera and many more. So, anyone can easily open and read .msg file without any email client on their browser. But, for this, it is necessary that the page should be in the HTML format because browsers support this file format. Users can easily choose the email and change the file extension from .msg to .html by just right clicking on the file and then click on Save As option and select HTML file format. After that, open the HTML page with any browser and then you can easily view MSG file contents. It is quite difficult to open multiple emails at the same time. Using this approach, users can only open one mail at a time and thus it will consume a lot of time to open an MSG file for free. It is almost next to impossible for the users to open Outlook MSG file attachments in the browser because HTML file will not save any attachments with the emails. Using this approach, users require lots of efforts in order to open every individual email. The above-discussed Manual Approach is quite simple and easy to perform. A user can easily view MSG contents. But all the drawbacks discussed above are capable enough to restrict this approach to be used by number of Outlook users. But, there is no need to worry because now a user can easily use SysTools MSG File Viewer Freeware in order to avoid all these limitations. It is quite simple to open an MSG file for free using this approach. There is no file size limitation, one can easily read MSG files without Outlook. It is even possible for the users to open multiple MSG files at a time. Therefore, one can easily open and access .msg files in an easy and reliable manner. 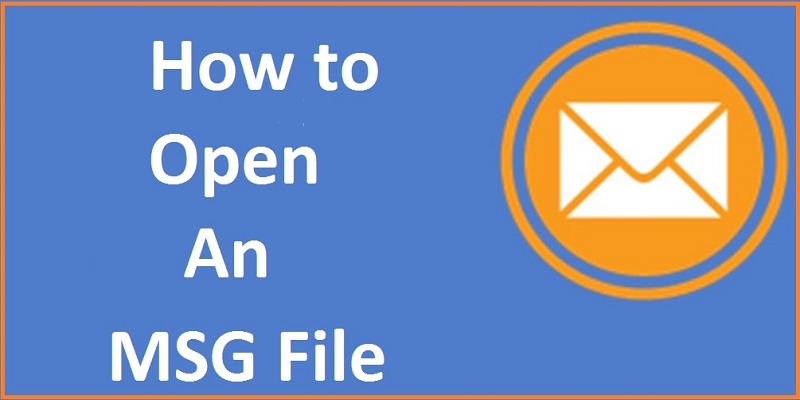 It is quite simple and easy for the users to read data from MSG file using the Manual Approach. But, if we talk about the limitations of the Manual Approach, then it becomes difficult for the users to opt the Manual method. So, now, we have come up with the Automated solution that can easily answer the question “how to open an MSG file for free?”. Users are always advised to go for the Professional Approach over the Manual Approach because it will save user’s time as well as efforts and will provide more accurate results. Therefore, it is recommended to go for the free and simple solution to view .msg files.